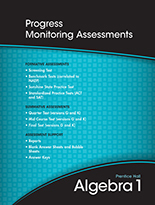 The Student Edition includes the same content as the on-level program, but is written at a reduced readability level with additional lesson and chapter support to ensure that struggling learners acquire key mathematics concepts. Includes additional hints and steps to problems, guided practice, reduced exercises, reduced difficulty level, and shorter chapters and split lessons. 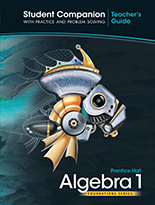 One 6-year access to PowerAlgebra.com serves as the portal into the digital world of Prentice Hall Algebra 1 Foundations Series. The online program can be used as part of a blended model with print, or as a digital course. 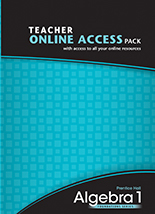 Online access includes a wealth of assets, such as the Student Edition with audio, complete Teacher’s Edition, instruction and presentation tools, editable worksheets, interactive online activities, student-generated videos, classroom management tools, and online assessments with remediation. Student worktext contains the Student Companion and Practice and Problem Solving Workbook for the Foundations Series, all in one place plus one 6-year access to PowerAlgebra.com for a seemless transtion between digital and print. 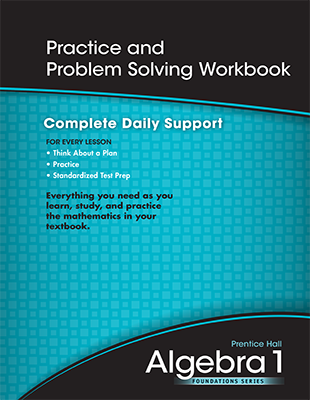 This comprehensive resource contains the Student Companion and Practice and Problem Solving Workbook for the Foundations Series, all in one place. Provides complete daily support for every lesson. Includes Think About a Plan, Practice, and Standardized Test Prep. 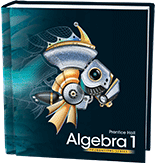 Prentice Hall® Algebra 1 Foundation Series online resources include the Pearson SuccessNet™ Teacher Tools. With MathXL® for School, teachers quickly create and assign online homework, quizzes, and tests. 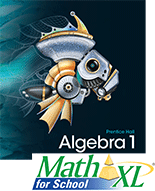 MathXL® for School courses have been created specifically to align with Pearson's brand new high school math series: Prentice Hall® Algebra 1 Foundations Series ©2011. Students Practice and review with algorithmically generated exercises to help them master math topics from every lesson. With MathXL® for School, teachers quickly create and assign online homework, quizzes, and tests. 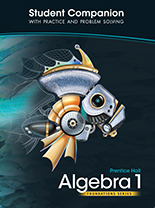 MathXL® for School courses have been created specifically to align with Pearson's brand new high school math series: Prentice Hall Algebra 1 Foundations Series ©2011. Students Practice and review with algorithmically generated exercises to help them master math topics from every lesson.